Wide Grip Weighted Dips: Good Or Bad For Chest Gains? WIDE-GRIP WEIGHTED DIPS: GOOD OR BAD FOR CHEST GAINS? 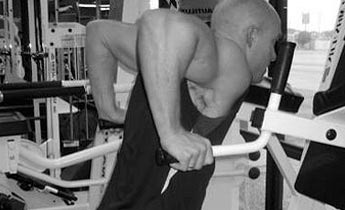 No Comments on WIDE-GRIP WEIGHTED DIPS: GOOD OR BAD FOR CHEST GAINS? Although dips have been a standard compound exercise in chest routines for decades, I want to explain today why they are, in fact, not that great of an exercise for building the pecs with maximum effectiveness. – I am NOT saying that dips do not pack size onto the chest; all I’m saying is that out of all the various pressing movements available to you, they are probably the least effective choice. – I am NOT saying that you must eliminate dips from your routine altogether; all I’m saying is that if you are going to perform them, they should be given lower priority than your other pressing exercises. 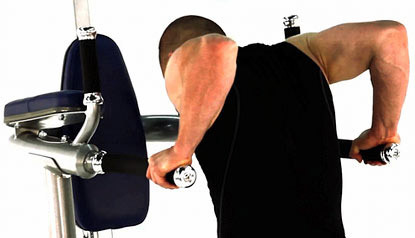 As I’ve covered before, the primary function of the pec muscle is horizontal adduction. In other words, it’s to bring your humerus (the upper arm) across the front of your torso. If you take a look at the actual mechanics of a dipping exercise, you’ll see that, because your arms are locked into a fixed position, only a small amount of horizontal adduction occurs as you press yourself up. You’ll still be hitting your pecs to a certain degree, but because the movement is mostly a combination of shoulder flexion and elbow extension, it’s actually your front delts and triceps that do most of the work. 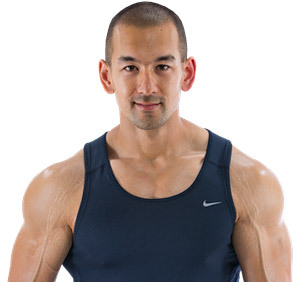 On top of this, the resistance is not even in line with the major portion of the chest throughout the exercise. Regardless of how you position yourself during a dip, the line of resistance goes straight through your front delts, further increasing the activation of those muscles in comparison to your pecs. In addition to these two points, dips are also the most dangerous pressing exercise to perform from an injury prevention standpoint. Though this doesn’t necessarily say anything about its actual effectiveness for building the chest, it’s certainly still important to consider. The dip promotes both internal rotation of the humerus and scapular protraction, which puts your shoulder joint into an awkward position that is more conducive to injury. Heavy dips performed over a long period of time can definitely take their toll, and trust me when I say that a shoulder injury is one of the very worst things that can happen to your bodybuilding program. After over a decade of training people and interacting with an endless number of lifters, I can’t even count how many eventually complain of shoulder pain while performing dips. So, to put it simply, dips put the majority of the load onto your front delts and triceps rather than your chest, while increasing your risk for shoulder injury at the same time. First, it’s highly unlikely that dips are the only exercise you’re performing for chest, and you probably have other presses and flyes in your routine as well. Just because you have good chest development and you perform dips does not necessarily mean it’s specifically the dips that have helped you make your gains. Second, obviously not everyone who performs dips is going to get injured. The point is simply that they increase the chances of injury. Third, my point here is not that dips won’t build your chest, but rather that they are the least efficient choice when you consider everything that is available to you. 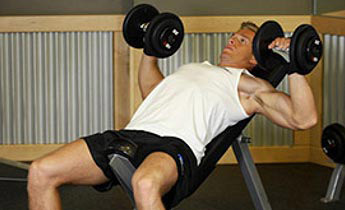 Dumbbell presses and barbell presses will stimulate your pecs more effectively (particularly dumbbell presses, which allow for greater horizontal adduction and a natural pressing arch), and are safer on your shoulder joints as well. In terms of building your chest, dips really don’t add anything that you won’t get from a basic flat/incline/decline dumbbell press and/or a flat/incline/decline barbell press. For that reason, I can’t see any good reason to include them in your routine. They’ll simply give you weaker chest stimulation, and more shoulder joint stress. Why bother? For complete chest development, 1-2 free weight pressing exercises in combination with a flye exercise is really all you need. My top picks would be the flat or decline dumbbell press and the high-to-low cable crossover for each of those movement patterns. If you do decide to keep dips in your routine, that’s totally up to you. But at the very least, put them last in your routine, otherwise you’re simply pre-fatiguing your front delts and triceps prior to your other pressing movements. And on top of this, keep the weights moderate and make sure to use a controlled rep cadence coupled with perfect form at all times.